Looking For Private School College? 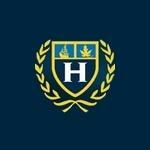 Hudson College is a private prep school in Toronto, Ontario. The private school offers a full range of credits leading to the Ontario Secondary School Diploma. Hudson College is fully accredited and inspected by the Ontario Ministry of Education. Products Carried: Hudson College is a private school in Toronto Ontario offering a balanced curriculum, from Pre-Kindergarten through to University/College entrance. As a co-educational and non-denominational Toronto private school, the focus of Hudson College is on developing the whole child - emotionally, academically, and socially. The faculty is committed to instilling students with a life-long love of learning.